BioSevia is an organic – and complete – plant food. For 4 years indeed our researchers studied and tested exhaustively to obtain a nutrient containing everything a plant needs to perfectly grow, and which would, at the same time, respond to all the requirements of an organic registration in France and in the rest of the world. It is a complete plant food. Its specific composition, and its excellent solubility, make it easy for plants to assimilate. It is efficiently applied in fertigation and drip irrigation. It contains fulvic acid and humic acids which improve soil conditions and enhance the plant’s absorption capacity. It brings a sweet, pleasant taste to your crops. … and it works in hydroponics! 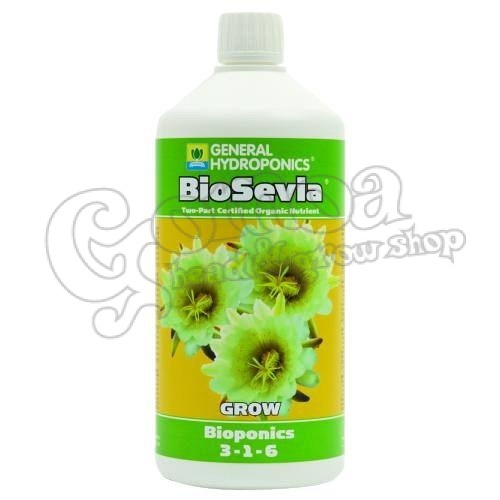 BioSevia gives perfect results in soil, of course, but it has the exceptionality to work beautifully in hydroponics too, be it with bare roots, or on substrates. Indeed, not any nutrient is adapted to this type of growing. Generally, organic nutrients are formulated in order to slowly decompose in soil so, when in water, some of their elements will rot and release some quite unpleasant smells. Finally, they would clog the filters and injectors. To be bioponic, a nutrient must be liquid or perfectly soluble. It must be rapidly degradable and readily available to the plant. BioSevia fits to all these conditions.